Set in a London comprehensive school, Grange Hill was first broadcast on 8 February 1978. Although initially conceived as a nine-part series, the programme proved to be so popular that it carried on until 2008. It also earned a reputation for its realism and willingness to tackle difficult subjects – from bullying and truancy to drug use and teenage pregnancy – which also meant that it soon became a source of public controversy. In part because it was a children’s programme, and partly because of its affinities with ‘soap opera’, the programme has earned relatively little serious academic attention. 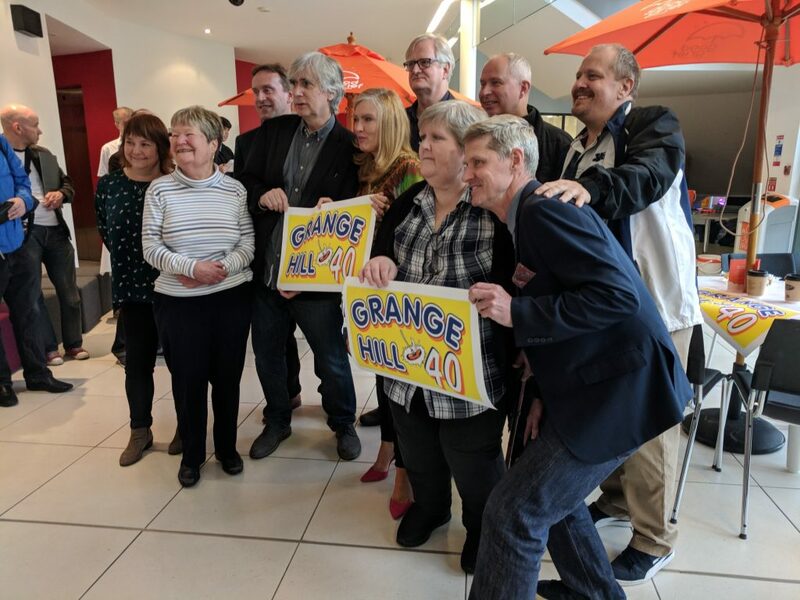 At the same time, it is still fondly remembered by those who grew up watching it and maintains a loyal following online via fansites such as Grange Hill Gold and Grange Hill Online.The fortieth anniversary of the programme therefore offered the opportunity to organise an event that brought together some of those responsible for making the programme with those who have enjoyed watching it and those involved in researching and writing about television history. To this end, the Centre for the History of Television Culture and Production at Royal Holloway, University of London, teamed up with the classic TV organisation Kaleidoscope and the Good Grief Trust (a charity run by the former Grange Hill actress Linda Magistris) to run a day of screenings, interviews, presentations and discussion. These involved the programme’s original Executive Producer, Anna Home, the programme’s creator and original writer, Phil Redmond , the composer of the show’s musical theme tune Alan Hawkshaw, members of the show’s cast (George Armstrong, Mark Baxter, Joanne Boakes, Lisa Skeates, Paul McCarthy, Paula Ann Bland, Lucinda Curtis and Gwyneth Powell) and television scholars Helen Wheatley and Rachel Moseley from the University of Warwick and Maire Messenger Davies from the University of Ulster.